Good choice for a speed 400 pylon or small warm liner. 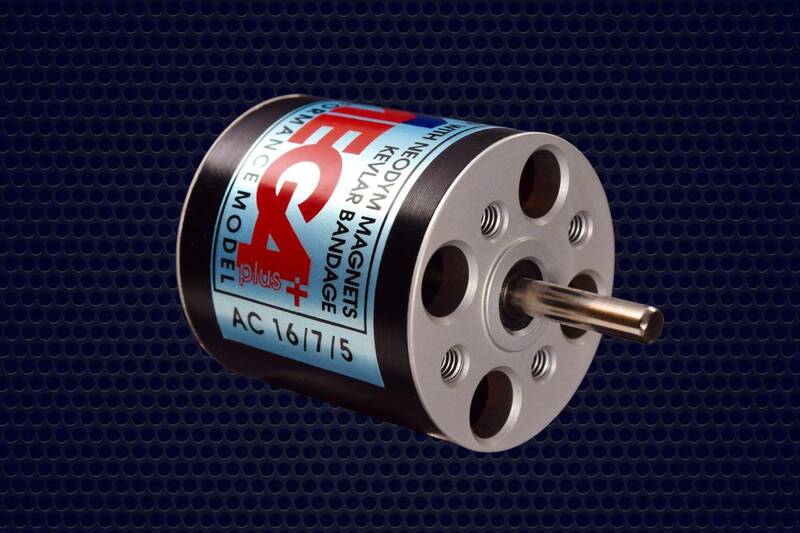 More compact and lighter than a speed 400 can, this motor is an excellent choice for speed 400 size pylon racers. It also is a good choice for 60mm ducted fans given its 3450KV wind. FYI, Mega also sells a Microgear box for this motor that allows it to spin a 10" prop. 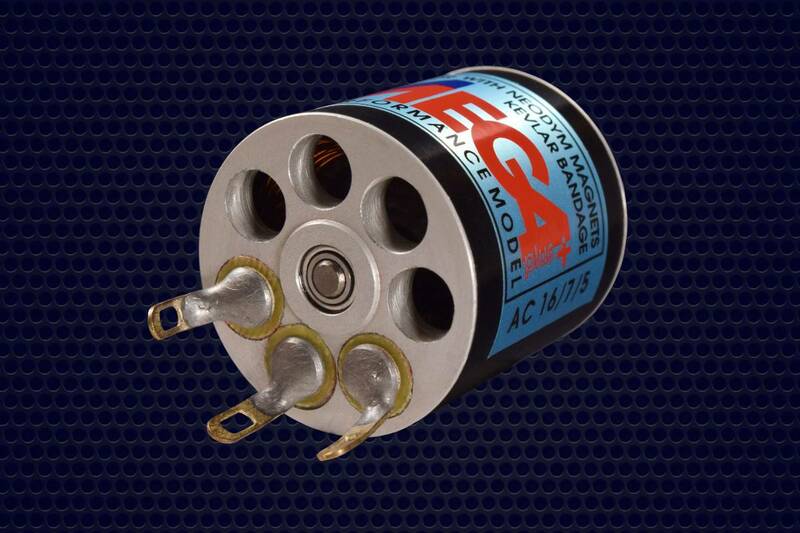 The Mega ACn 16/7/5 is a 3 Phase, 6 pole, permanent magnet inrunner, with a hardened steel 3mm shaft riding on high quality ball bearings. The lightweight rotor is loaded with neodymium magnets and wrapped in kevlar and then dynamically balanced. The kevlar holds the magnets in place, withstanding RPMs in excess of 50,000 (55k max).